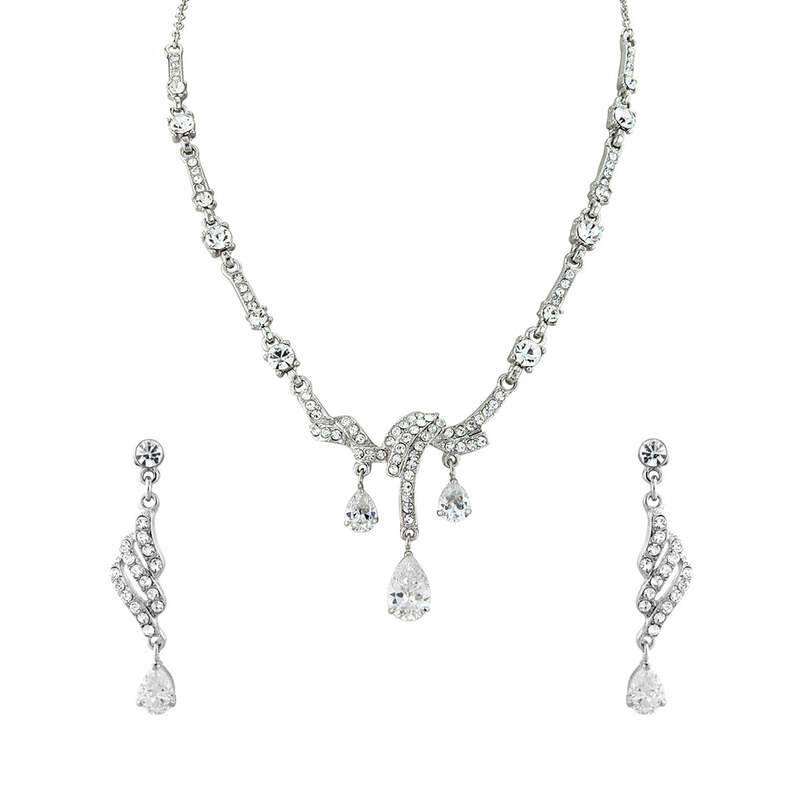 Worthy of Silver Screen Starlet style, our 1940s inspired Timeless Beauty jewellery set features a coordinating crystal necklace and drop earrings. The epitome of feminine glamour, Timeless Beauty Jewellery Set combines 1940s Starlet style with modern charm. 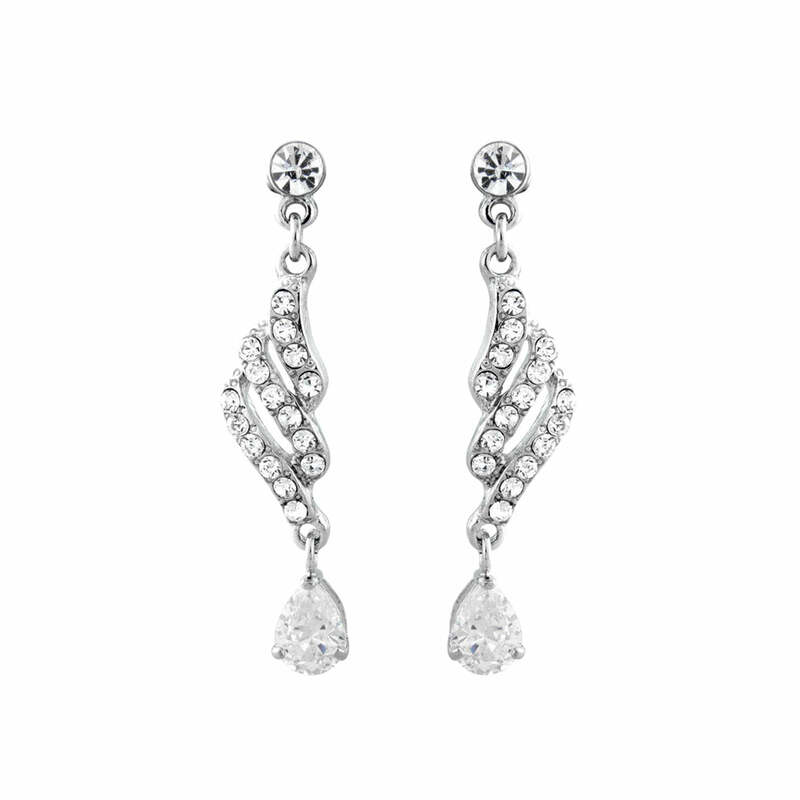 Featuring a coordinated set of crystal drop earrings and droplet necklace you could easily be mistaken for thinking these are diamond treasures. The perfect pieces to accessorise the most glamorous occasions, wear as a set for a glitzy black tie ball or dress up the most elegant prom dress with eye catching sparkle. Opt for one piece and you will dazzle at a romantic dinner date. 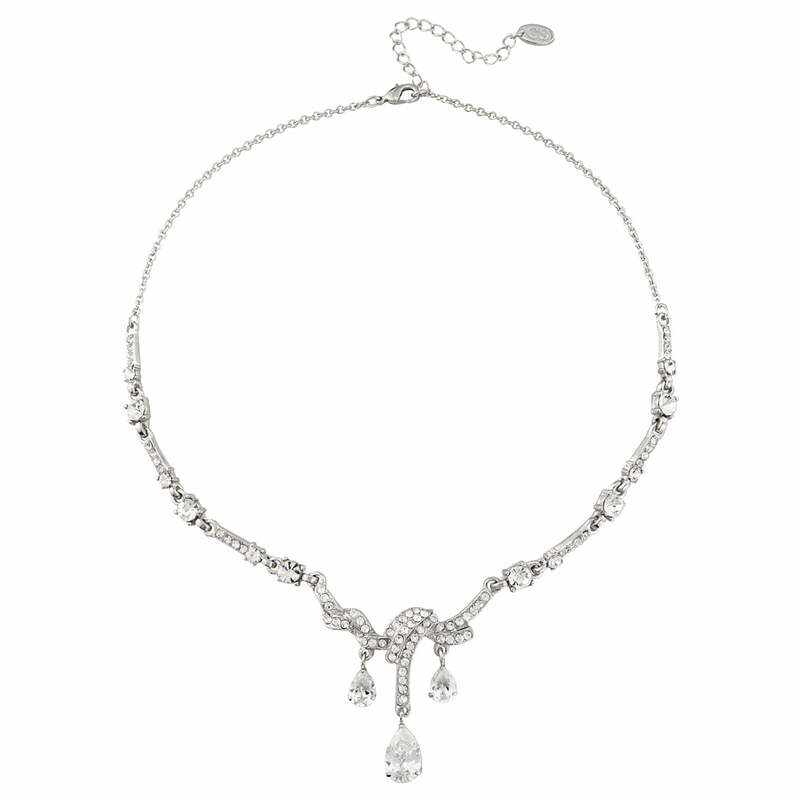 Brides looking for Silver Screen elegance will adore Timeless Beauty. A delightful wedding jewellery set which could be worn by the whole bridal party, this stunning duo will add vintage charm to all styles of wedding gowns with effortless grace.